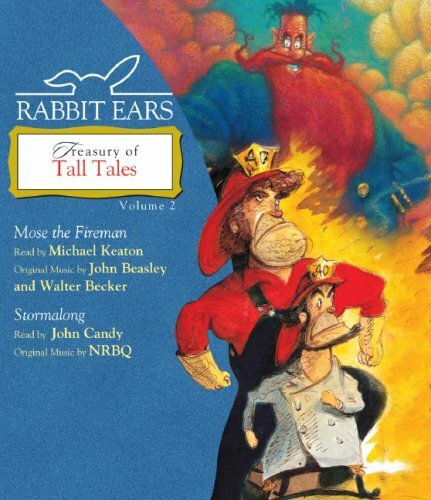 Rabbit Ears Treasury of Tall Tales Volume 2 features the larger-than-life characters of America's favorite fold stories from around the globe--read by your favorite stars and featuring original music by some of today's greatest artists. Grab your gear and ring the fire bell as you follow the exploits of Mose the Fireman, the most famous firefighter in America. Ragtime music provides the backdrop for this delightful tale set in 1800's New York. Board the biggest ship ever built and hold on tight for the story of Captain Stormalong, the saltiest sailor on the seven seas. Sit back and enjoy the tallest fish tale ever told in this tribute to America's Golden Age of Sail.